Big, blocky 6-inch peppers are thick-walled making them the perfect stuffers. 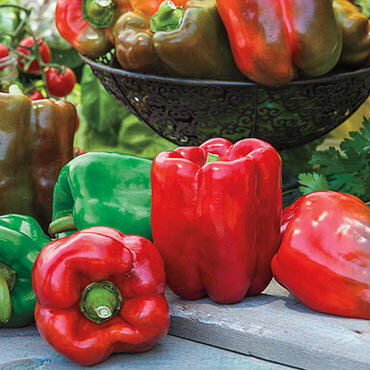 Gurney's Giant II Hybrid produces generous yields of sweet, juicy bells that ripen from green to red. This variety is also delicious for fresh eating and tossing into salads. 70 days to maturity.